debut this week at the first Drink Atlantic Cocktail Festival—and they’re guaranteed to stir up some debate, and great-tasting beverages. But who’s behind all of this and what does it mean for cocktail culture? Established in 2015, UK-based distilling company Seedlip was born in founder Ben Branson’s kitchen out of a desire to capture the essence of the natural world. 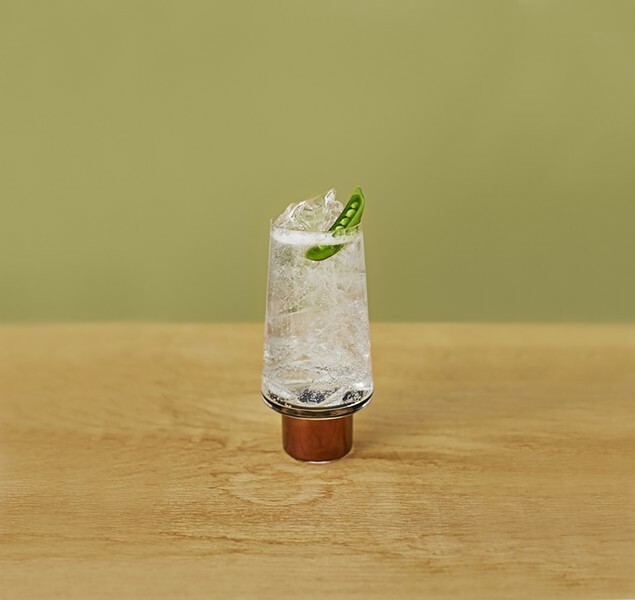 By removing the initial alcohol necessary for flavour extraction from his distillates post-extraction and forgoing fermentation, Branson has effectively created a remedy to “rid the world of horribly fruity mocktails.” Today, Seedlip products are available in 17 countries, served by Michelin-starred restaurants and offered at many of the world’s top 50 cocktail bars. “It’s definitely sparking a conversation around how much alcohol people need to drink, and why can’t we cater to people who, for whatever reason, don’t want an alcoholic drink,” says Branson. And with two refreshing spirit offerings, Seedlip is catering no doubt. Garden 108, an herbal blend of hand-picked peas and traditional garden herbs pairs wonderfully with simple tonic and garnish, lending its spearmint, rosemary and thyme base to a clean tasting beverage. Spice 94, an aromatic and complex blend of all spice, bark and citrus makes for a great NoGroni (Seedlip’s alcohol-free take on Negroni). And it’s not just alcohol that’s missing, Seedlip products are also free of sugar, calories, sweetener, artificial flavours and allergens. However, the brand is by no means pushing a restrictive beverage agenda, rather it offers balance in a world of extremes. “We believe in the power of amazing flavour and wonderful experiences—that’s possible with a non-alcoholic cocktail and a low-alcohol content,” says Branson whose search for equilibrium-inspired Nolo: Seedlip’s two-night international pop-up bar event, featuring beverages with an alcohol content of no to low in 15 major cities (including Toronto) beginning July 24. With a new Seedlip product set to hit the Canadian market later this year, Branson is “just scratching the surface of what’s possible with non-alcoholic cocktails.” Canadian ambassador for Seedlip, Sarah Parniak, will be in town for Drink Atlantic Cocktail Festival this weekend—Branson will there in spirit. (And for those not attending the event, you can find Seedlip at Pete's on Dresden Row.) He hopes his vision for more (and better) drink options will be embraced on the east coast.